"I decided to pick the pattern on the Gingerbread Heart Earrings, as I thought it would make a unique, folksy nail art design. Start by filing any rough edges on your nails, push back your cuticles, then paint a layer of base coat. This step is one of the most important, as most Christmassy colours stain your nails REALLY badly. 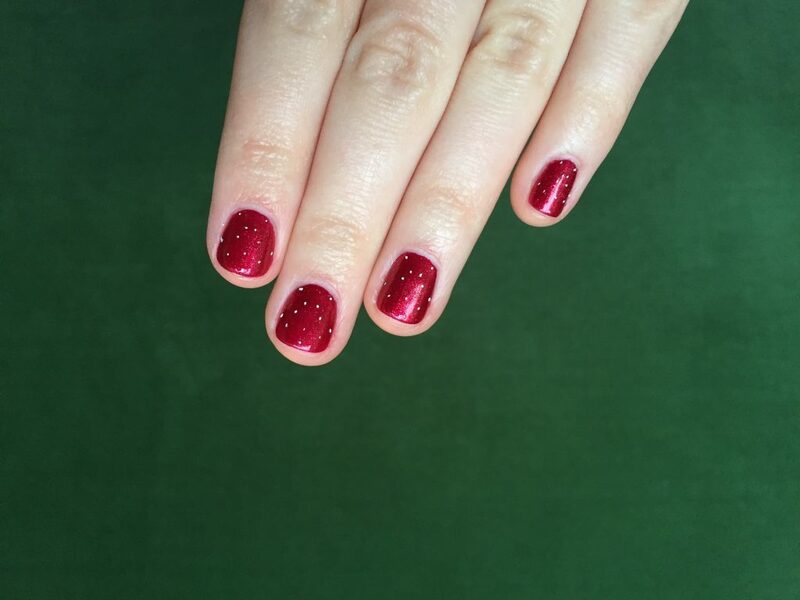 Once dry, paint two coats of your fave festive shade. I’ve gone for a shimmery red. Don’t forget to swipe the brush horizontally along the very edge of your nail on the tip, which should help your mani last a lot longer. Make sure your nails are completely dry before you make a start on the nail art. Now, the tricky bit! 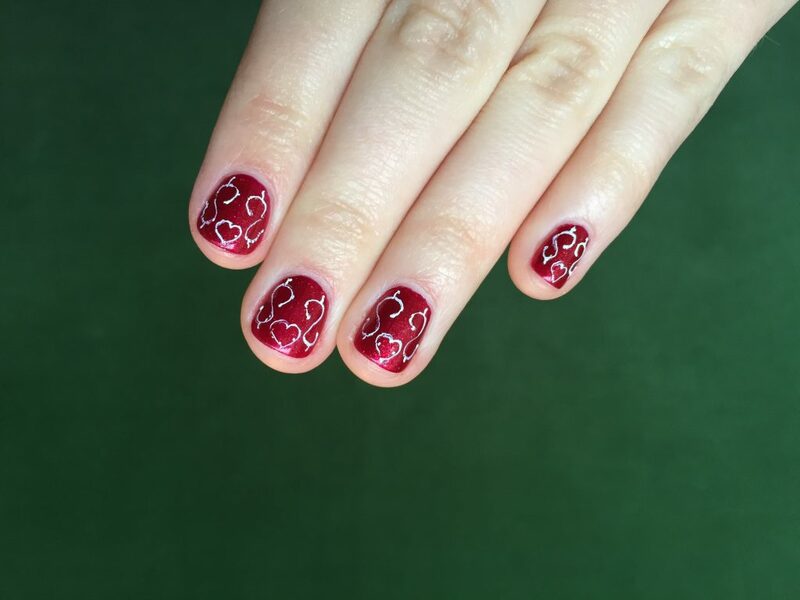 To make sure you’re getting the design in the right spot, use a nail pen, dotting tool or a thin brush to make small dots to plan out the pattern. I marked the widest and highest points, the heart shape in the middle, and the beginning and the end of the swirls. Then, use your pen or brush to faintly ‘sketch’ the design onto your nails. Don’t worry if it’s slightly messy – you should be able to cover the unwanted bits with your base colour at the end. When you’re ready, you can go ahead and neatly paint the pattern over the top, using the sketch as your guide. Go back to your base colour and use a small brush to cover up any unwanted lines. Try to do this with a thin layer of polish, so your base doesn’t end up bumpy. For the finishing touch, add a sequin or a little bit of glitter to the heart shape, and when dry, paint a layer of top coat over your whole nail. Don’t forget to swipe the top coat along the top edge as you did previously. Use a small brush dipped in nail polish remover or acetone to clean up any edges or any polish that ended up on your skin. 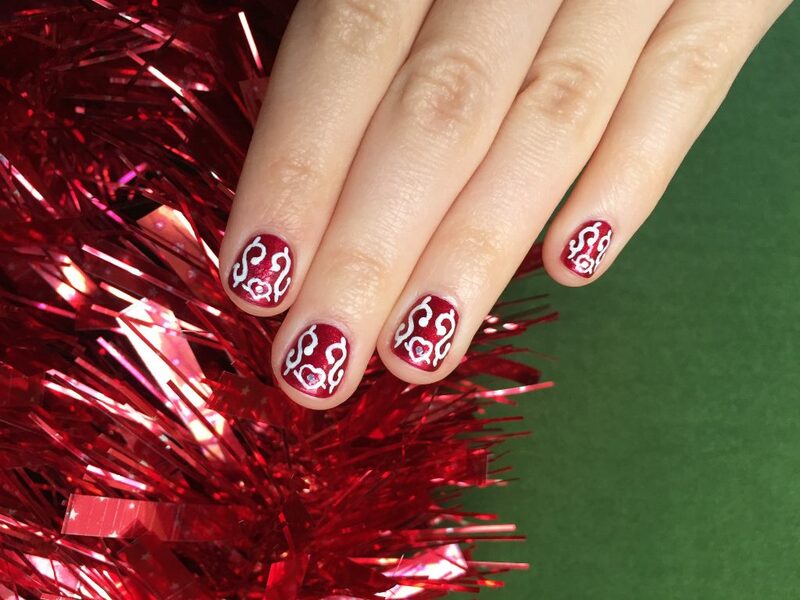 Feeling inspired by Emma’s festive design? 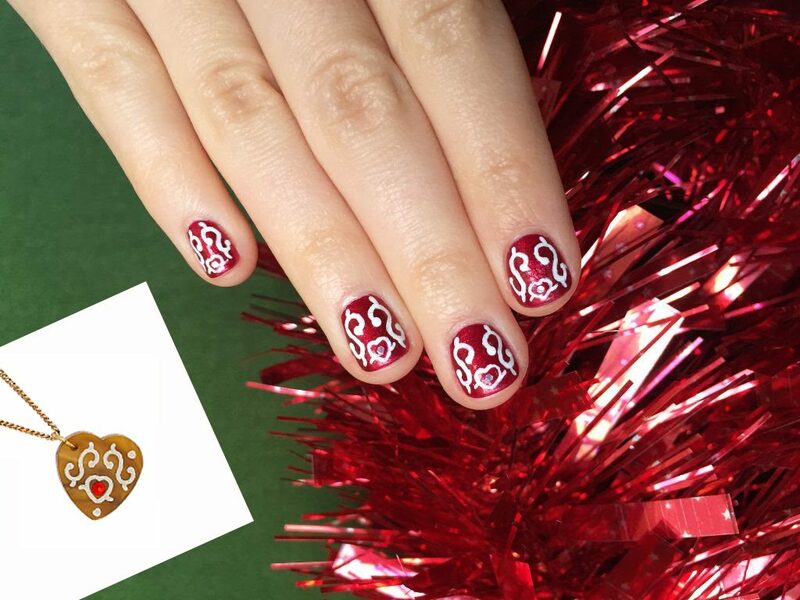 Show us your Tatty Devine inspired nail art on Instagram with #TattyDevine.